Thankfully, our world has taken quite a few steps forward since this ad of the 1950s. …to an equal pay ad in 2016. Beer ads that support equal pay? Feminine hygiene brands redefining how we talk to—and about—girls? This is not something that brands used to do. But today, a highly successful and celebrated marketing tactic is to actively champion women and girls while selling a product. It’s one example of many in our new era of point of view marketing: in addition to selling something; we want our brands to stand for something. These and even more campaigns like Dove’s “Beauty on Your Own Terms”Secret’s “Stress Test” attempt to market in a new way—one that not only mirrors society’s changing attitude towards women but also takes a stance. What an exciting opportunity for marketers to change the conversation and have an impact on the world. 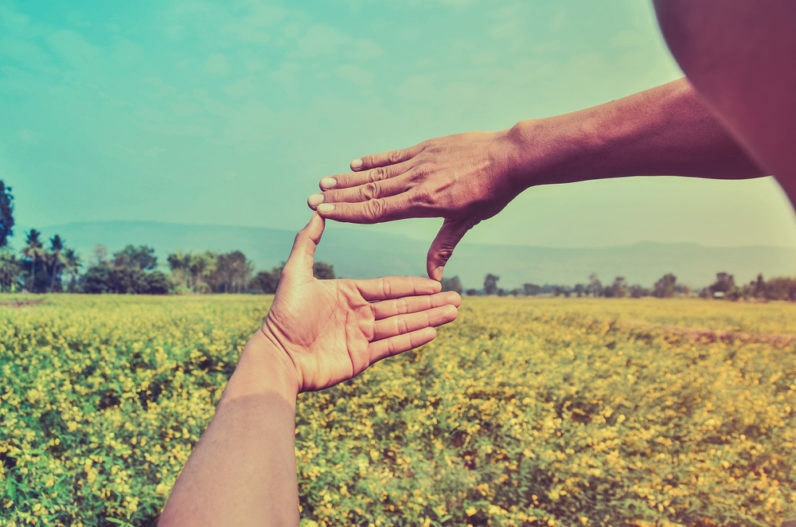 In this post, we’ll talk about why you might want to embrace a point of view in your marketing, how to do so confidently, and what separates successful campaigns from the rest. What is point of view marketing? What is point of view marketing? It’s the way your brand looks at the world—your values, your unique perspective, your issues. It’s a stance. And it matters. 64 percent of consumers with a brand relationship say shared values are the reason why they’ve engaged with a brand (by far the biggest reason cited). This trend is only being proven further as the Millennial generation grows up and into its full power. 87 percent of Millennials say they appreciate it when companies make it clear what values they stand for, and 81 percent say companies that invest in their communities deserve loyalty. Increasingly, point of view is the difference between people talking about you and people forgetting you. It’s getting tougher to stand out and be heard, but having a point of view can help. Buffer investors Collaborative Fund focus specifically on working with companies who have a point of view. Their investments include Lyft, Kickstarter, Code Academy, Blue Bottle Coffee, and more. In fact, Kanyi Maqubela, who is a partner at Collaborative Fund, goes so far as to describe values as a competitive weapon for brands. What is it about values and point of view that can cut through the noise and endear us to a brand so strongly? Sometimes things are just things, but sometimes they’re more. We buy things because of how they make us feel, or how we believe we’ll be perceived by others once we have them, or how we align with what their makers are doing in the world. They become part of our identity. Design anthropologist Dori Tunstall says things are how we identify ourselves and identify others. Increasingly, what we share on social media falls into this category, too. 68 percent of people say they share online to give others a better sense of who they are and what they care about. That’s why a lot of the ads above have gone viral—they strike a chord and make people want to share them. Values are how we build our identities, what we trade on social networks, and why communicate with each other. If point of view marketing feels like a good fit for you, I’ve found there are four general steps to getting off to a great start. Before all else, you have to know what you stand for. No one — not your customers, not your investors, not your community — can do this for you. It has to come from you. At Buffer, we’ve got a set of 10 values that guide everything we do. We were lucky to define them early, and they’ve set the course for our company’s entire trajectory. There are a lot of great resources on defining your company’s culture and values. Whatever you choose, make sure it’s authentic to you. You’ll want to be able to follow through and back up these values—even when it’s tough. True values and point of view go far beyond a mission statement. They have to be lived every day. Once you have a point of view, how are you backing it up with action? Marketing to women, for example, isn’t as simple as making a product in pink (and charging more for it). Women know when you’re pandering-—and when you mean it. Transparency is part of our point of view at Buffer, and we’ve been inspired by companies like Everlane that also believe in this value and back it up in a big way — by telling you every element of the price you pay for their clothes. If women’s empowerment is your point of view, are women on your team? Are they in the room when you’re making decisions? Are women listened to, respected, promoted, leaders? When Dove embarked on their groundbreaking Campaign for Real Beauty, they partnered with organizations like the Girl Scouts, Boys and Girls Clubs of America and Girls Inc. to organize activities including discussions about online bullying and photography projects capturing the beauty girls see in the world around them. The best point of view for marketing is one that not only reflects truth for you but also resonates with your customer. Transparency has been one element that has worked really well for us in this area. We share everything, and we’re the better for it thanks to feedback from our community. Try sharing your mission and asking for feedback: what could you do better? Give your audience a say. You can take this opportunity to improve your brand, products, and services through them. If you’ve been lucky enough to develop a two-way conversation with consumers, treat their feedback like the gift it is. Honor their questions with answers. Share thoughts honestly, from your own unique point of view. Putting your most authentic face forward can win you advocates for life. This might be the scariest step of all. Part of having a true point of view is that it’s a little bit of a vulnerable place to be. Not everyone will like it. Not everyone will agree with you. Some will say you went too far while others feel you didn’t go far enough. When we made the decision to share all our salaries publicly, it was quite possibly the scariest thing we’d ever done as a company. We had no idea how people would react. Today, it’s become one of our proudest moments, because facing that fear was well worth it. It’s easy to share a standard marketing piece. And that’s often why it’s forgettable. If you’re willing to go out on a limb for what you believe in, you’re likely to find an audience who feels the same — and wants to stand with you. Now that we know some tenets of point of view marketing, let’s look at some women’s empowerment campaigns and figure out whether they work (or not ) and why. In 2013, Swiffer co-opted the iconic Rosie the Riveter image to promote the empowerment of … women cleaning house. After a public outcry, Procter and Gamble removed the image and apologized for the campaign. What didn’t work: Audiences are looking for authentic, deeply held point of view. Taking a women’s empowerment message only far enough to encourage cleaning doesn’t feel like a point of view as much as simply an opportunity. What works: Women of all shapes, sizes and colors, having a great time, in support of an authentically felt message. Even better? The award-winning campaign has convinced 2.8 million UK women to be more active. What a win! What didn’t work: While Nine West didn’t pull this ad, they got quite a bit of public outcry over it. Women objected to the idea that shoe-buying would be centered around husband-hunting instead of the joy of fashion or a woman’s own empowerment. What works: This 2004 ad basically started the woman’s empowerment advertising revolution. The campaign includes advertisements, video, workshops, events, a book and the production of a play — talk about backing it up! Ten years in, the campaign has brought Dove’s sales from $2.5 billion to $4 billion. And their research says the campaign is actually changing the way women define beauty. Do you see any common threads running through the ads that work and separating them from those that don’t? I think it might be authenticity. 33 percent of women say advertising can empower women if it depicts them in inspiring and respectful ways. And the data agrees with them. A survey of consumers who viewed Always’ “Like a Girl” and other similar campaigns found that not only did a majority feel the ads promote a positive message for women, they also had a strong, positive impact on the brands’ reputation. In a crowded and connected world, we’re looking for brands that take a stand beyond the sell. Marketers have the power—to challenge cultural norms, to change how we talk about what matters, and to raise awareness for important issues, even as we sell products. Does your product, service or brand have a point of view? Do you find yourself leaning toward brands that do? What’s your take on these ads? I’d love to hear all of your thoughts in the comments!